Reform digital edition now available! Reform Magazine is now available as an app and web edition through Exact Editions. Reform explores theology, ethics, personal spirituality and Christian perspectives on social and current affairs. It features writing from journalists, academics, politicians, campaigners, scientists and religious leaders. As well as high-profile interviews, in-depth features and book, music and film reviews, Reform carries letters and a regular light-hearted column. Exact Editions are pleased to welcome Treadlie to the Apple Newsstand and our webstore! A cycling magazine with an emphasis on culture, fashion and design, Treadlie is the perfect companion for all bike lovers. The app incorporates all the features you’ve come to expect from Exact Editions (comprehensive search, offline bookmarked content and social media sharing, to name a few) and also comes with ground-breaking ByPlace™ technology enabled. We’re thrilled to announce that Transition Free Press has joined the Exact Editions webstore, and is now making it’s debut in the Apple Newsstand. Transition Free Press is a quarterly newspaper, built around the idea of sustainable communities and towns, with emphasis on the environment and community spirit. The focus is always on solutions, so if you’re looking for a positive and inspiring break from the standard doom-and-gloom press, this is the title for you! New to the App Store and Exact Editions webstore comes the lovely lifestyle magazine Your Cotswold Family. It doesn’t matter if you live in the Cotswolds or are just planning a visit, this magazine has something for everyone. It’s much more than just a parenting magazine, with ideas for days out, fantastic gift ideas and much, much more! It’s bold, it’s beautiful and now it’s on your iPad. 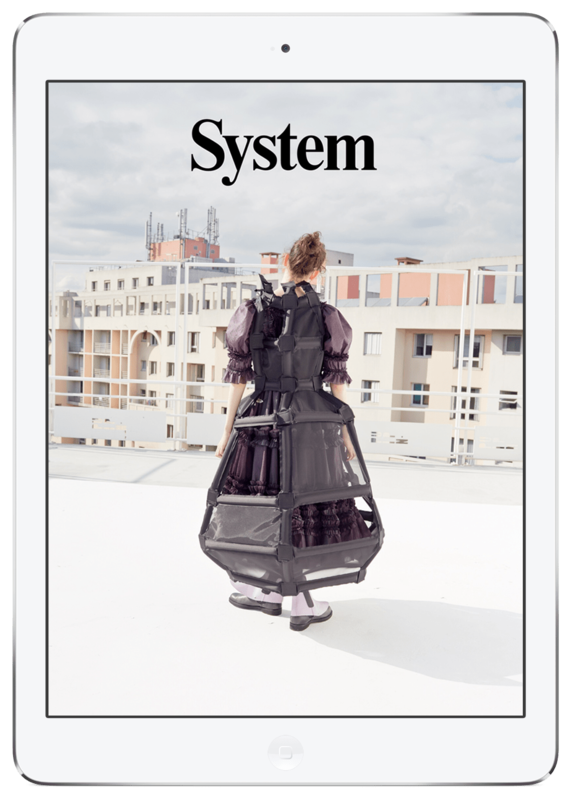 System is a fashion magazine unlike any other; it doesn’t just report on the world of haute-couture, it challenges it to do more, taking you straight into the minds of some of the biggest names in fashion and design.